The Monson Law Firm attended The Insurance Professionals of Greater New Orleans August Dinner meeting at Augie’s in Harahan. It was a member’s only meeting this month to discuss the budget for the upcoming year. Pictured are TIPOGNO Board Members Brittany Stoudt with Emergency Restoration, Courtney Donato with Forest Insurance Facilities, Amber Townsend and Chad Harrington with Hull & Company. Click here to view pictures! 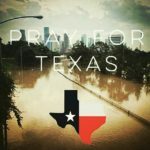 Please join The Monson Law Firm by praying for all those affected by Hurricane Harvey, including our Houston office staff members. “When you go through deep waters I will be with you.” Isaiah 43:2 Click here to view pictures! 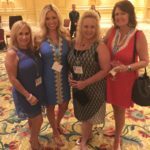 The Monson Law Firm attended the Young Agents Conference at the Beau Rivage in Biloxi, Mississippi. We enjoyed seeing our industry friends at the opening reception on Friday evening. Pictured are Debbie Harrington with Americas Insurance Company, Ann’Lee Earles, CISR, CPIA with The Monson Law Firm, Debbie Lee with Americas Insurance Company and Leeann Manalla with SageSure Insurance Managers. Click here to view pictures! Matthew Monson, Esq. taught two 3 hour Ethics: Rules and Responsibilities classes on Wednesday for Pathfinder LL&D in Houston, Texas. We would like to thank everyone who attended to the Ethics classes, we hope you enjoyed them! Pathfinder LL&D has been a Houston based independent insurance agency since 1913 with branch offices in Austin and San Antonio. They work with more than 55 insurance companies around the world. For more information you can visit their website at www.pathfinderlld.com. 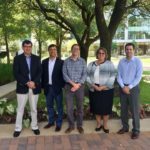 Pictured are Scott West, CEO, Matthew Monson, Esq., Jonathan Marshall, CFO, Marjorie Salazar, Esq. with The Monson Law Firm’s Texas office and Wes Kurtz, COO. Click here to view pictures! The Monson Law Firm Obtains Discipline Against Gurtler Bros. Consultants, Inc. and Frederich Gurtler, P.E. 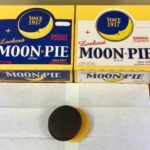 The Monson Law Firm is celebrating today’s solar eclipse with Moon Pies. Click here to view pictures! 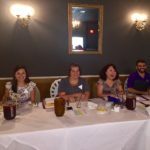 The Monson Law Firm attended the North Shore Chapter of Professional Insurance Agents of Louisiana’s August breakfast meeting at NOLA Southern Grill in Slidell. Our guest speaker was Senator Sharon Hewitt, State of Louisiana District 1. Senator Hewitt gave us a synopsis of the recent State Legislative Session. Picture are Matthew Monson, Esq. and Senator Sharon Hewitt. Click here to view pictures! Indeed, under Louisiana law, an “assignee ‘steps into the shoes’ of the assignor and acquires only those rights possessed by the assignor at the time of the assignment.” Accordingly, Plaintiffs must comply with the terms and conditions of the policy, including the appraisal provision. This does not constitute bad faith. A copy of Judge Milazzo’s decision can be found here. This decision is significant as courts in other states have denied insurers their right to take an EUO of AOB contractors. The Monson Law Firm is on the front lines of the battle to end Assignments of Benefits abuse. 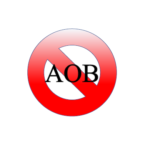 To see how The Monson Law Firm created the solution to ending AOB in Louisiana, please click here. The abuse of Assignments of Benefits (“AOB”) in first-party property insurance claims has been well documented. The Consumer Protection Coalition, formed to raise awareness of AOB abuse, reports Florida AOB lawsuits have increased 90,000 percent since 2000. Michael Carlson, executive director of the Personal Insurance Federation of Florida (PIFF), said “highly litigious” groups of trial firms as well as certain types of contractors have been taking advantage of the AOB provision in homeowners insurance policies. In many cases, contractors are inflating the cost of repair work and suing insurance companies if a claim is denied or not paid in full. “Post-loss assignment of claims arising under the policy is not equivalent to the assignment of the policy itself, or an interest in the policy. Given the categorical difference, we find it incumbent on insurers to include clear and unambiguous language in their policies. We do not find it necessary to formulate a test consisting of specific terms or words, however the insurer must include language making it clear and explicit that post-loss assignments are prohibited under the policy.” (emphasis added). This case can be accessed here. Post-loss assignment of rights, benefits or claims arising under this policy are prohibited. Post-loss assignment of rights, benefits or claims arising under this policy will not be valid unless we give our written consent. Lighthouse Property Insurance Corporation was the first insurer nationwide to receive approval to include this language in its policies. Since then, multiple insurers have also incorporated this language into their policies. The Monson Law Firm would like to thank Louisiana Insurance Commissioner Jim Donelon and his team for their foresight in tackling this growing problem that threatens insureds in all states. The Monson Law Firm also calls upon every state insurance regulatory body to take similar action to protect their policyholders.